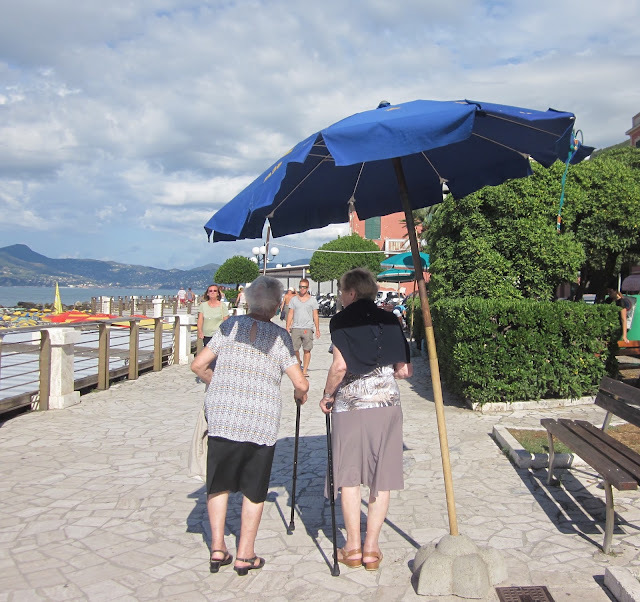 I love this photo I took this morning of two old friends walking together on the sea walk in Chiavari. It was sunny and warm and they stopped for a minute under the umbrella to catch a bit of shade. I got the feeling they have been meeting like this since they were kids. It’s August in Italy. Everyone is on vacation, young, old and in-between. And even though I'm on vacation too, I couldn't resist posting this photo. See you in September. Enjoy the rest of your summer.